I have never had clarity; what I have always had is trust. So I will pray that you trust God. It’s amazing what unfolds when you trust instead of trying to control the outcomes of life. I had been in LA for a little over a year when my roommates decided they wanted to try and find a new apartment closer to work. I couldn’t live and work with their tone deaf kitty anymore, and I was falling into a routine that was too comfortable and not working towards why was in LA in the first place. So I decided to put myself into uncomfortability and pursue something I have wanted to do for a long time – work from the road. There’s no comfort in growth and no growth in comfort. So I did. I asked some friends who became family if I could use their home as a base in Pasadena and from there I traveled. Asking for help of a place to stay is not my favorite thing to do. Not having a place to call my own is also not my favorite thing. I did learn that if I’m ever going to do this again I need somewhere small that’s mine to go back to. Starting in August until the end of November, I’ve traveled to Pasadena, Sacramento, Redding, the Oregon Coast, Salem, Portland, Gresham, Bend, back to Redding, back to Sacramento, back to Pasadena, to Omaha, back to Pasadena, to Irvine, back to Redding, to San Francisco, to Big Sur, Monterey, Caramel-by-the-Sea, Santa Cruz, back to Redding, to LA for a night, to Gilbert, Arizona for a week, to Albuquerque, to Monument and Denver Colorado and then to Omaha, Nebraska for my birthday on November 20th. I wish I could tell you how many miles I’ve put on the car or how many hours I’ve traveled. It’s a lot. I’ve slept on floors, pull out couches, futons, random Airbnb beds and a couple hotel beds. I’ve traveled via my car, plane, rental car, bus and Amtrak – I never did get to ride on a boat in California. I’ve packed up my car twice. I’ve gotten rid of oh so many things. I’ve had conversations to let go of old hurt and had other conversations to grow friendships and family. My cousins are awesome. I’ve hiked up Multnomah Falls in Oregon, fell in the water trying to hike the Oneota Gorge in Oregon. I tried to find the start of a waterfall at Whiskeytown Lake in Redding, but started at the wrong trailhead. I was warned of a rattlesnake in the trail at Eaton Canyon in Pasadena. I never saw it – wish I had. 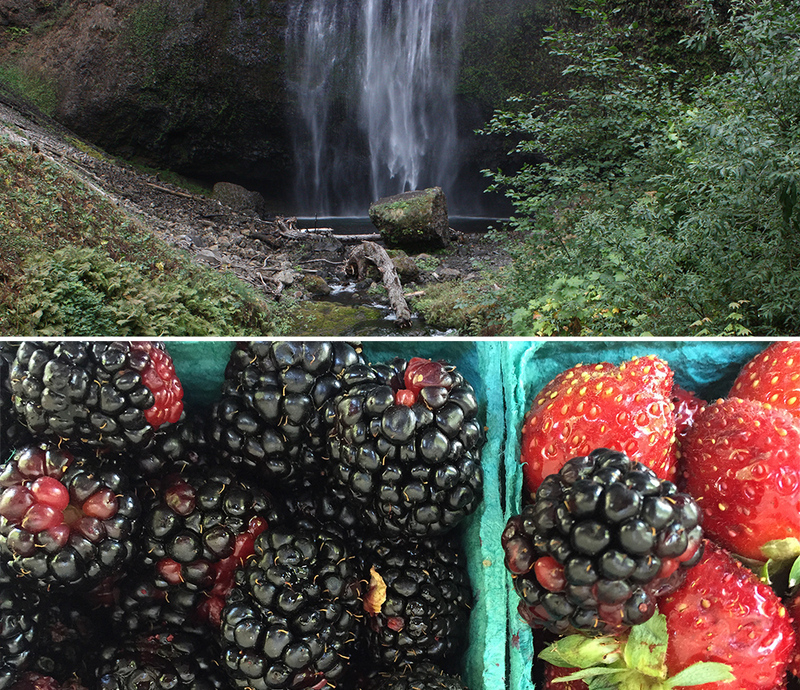 I’ve laughed at the Pacific Ocean and tasted the Oregon berries. I saw where my mom grew up and where her family changed. I wouldn’t exist without Oregon. I had breakfast with one of my parents friends in Sacramento. I stayed with my mom’s childhood friend in Oregon – it was eerie how similar the family dynamics were but in a good way. I stayed with a co-worker’s sister and brother-in-law. Friends become family. On Halloween I worked remotely for my Omaha office in a Starbucks in the San Francisco Presidio right by Lucasfilm and ILM office. I had my picture taken with the Yoda Fountain – I am a nerd and proud of it. I watched pirates and Marty McFly walk into Starbucks that day. 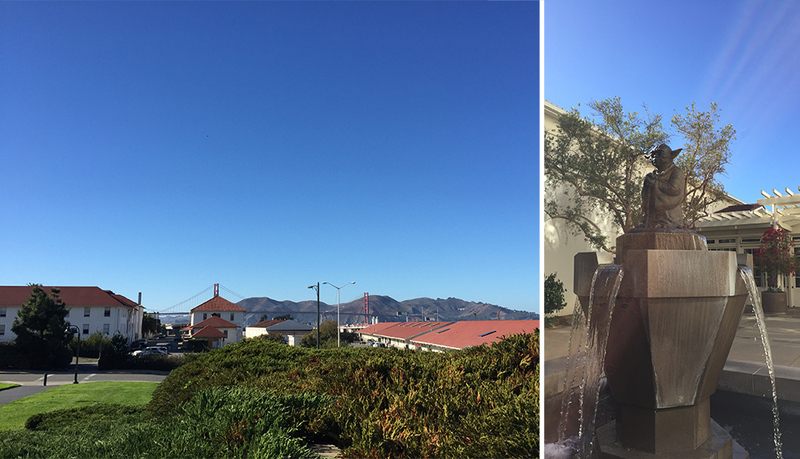 I felt at home in the Presidio – please ILMxLab hire me. I saw one of my favorite people from Omaha preach in Orange County. I saw my favorite Hillsong pastor preach at Bethel. I’ve attended Hillsong in LA and Bethel in Redding. 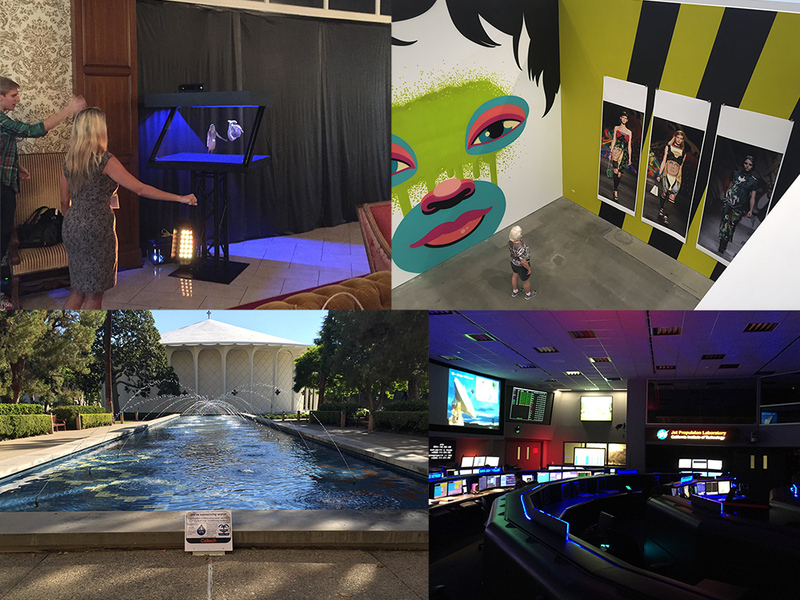 I’ve visited the Jet Propulsion Laboratory, walked around Cal Tech’s campus, visited the design school in Pasadena. I attended the Body Computing Conference on USC’s campus. I played with a hologram. I saw VR camera rigs. I spent a couple hours wandering around Sony’s lot. Thank you Ed Saxon. I’ve been reminded why I came to LA in the first place. I’ve been exposed to all sorts of different outlooks on life and I love it. I took a writing class in Redding from one of LA’s Act Once instructors. My family’s house in Redding was robbed the morning I came back from San Francisco. It’s a freaky feeling to have someone in your home when they weren’t invited. I’ve seen the aftermath of fires in Oregon and Northern California. I’ve seen so many homeless people and smelled things that I wish I could forget. I bought dinner for homeless woman, but she wouldn’t go with me to purchase food because her spot where she was begging was too good to leave and she still had to make it to the store to pick up cat litter… yeah… I’m still thinking about that one. I met a girl who lives out the idea of those with the least, give the most – I learned a lot from her. I gave gas money to a guy standing on a street corner in Oregon. Then I cried as I saw the relief in his eyes. He just wanted to go home. Fear stops us from doing things that aren’t really that scary. Why? Life is to be enjoyed, experienced with wisdom. There’s still good in this life. There’s still hope. I don’t really know why I started on this 4 month adventure. It was only supposed to be 2. It was one of those things that I was just supposed to do. I was hoping for clarity as I tried to figure out what step towards dreams to take next. The clarity really does come as you trust in each step you take. About 7 years ago, my plans and direction changed, so I told God “Ok, what you got?” Most of us are afraid to saying something like that, because we think God’s going to tell us to head to Africa. Well, in my case I did go to Africa – twice – but I unexplainably wanted to go. He calls us to things that are exactly what we need and based on who we are. At times it may be uncomfortable and it should be, but do you have any idea how much fun it can be? If I could give you anything, I would give you this overwhelming joy from trusting God with your story. It’s not easy. The best stories involve conflict and heartache and a bit of confusion, but there’s this weird sense of peace and protection that it accompanies it. He writes my story so much better than I ever could, and I just trust and take a step. So here I am celebrating Christmas with my family back in Omaha, trusting for the next bit of clarity. <— I wrote this line several weeks ago, and I was going to delete it seeing as how I’m publishing this in mid-January, but I needed to read it tonight. I’m still trusting for the next bit of clarity.